Introducing Flying Icon. 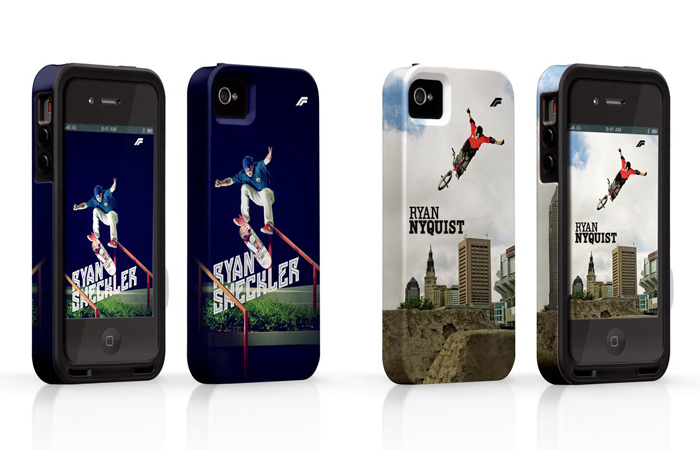 The first action sports specific line of protection for mobile devices. Flying Icon is driven by a passion for action sports and the athletes that push their sport to the next level. Positioned in the heart of Southern California, we have carefully assembled a premier team of athletes bringing their high-flying action to the palm of your hand in an innovative form of protection for mobile phones, MP3 players and tablets. Flying Icon cases feature incredible action photography specially bonded to a lightweight, indestructible Lexan case, fusing the energy of your favorite action sports into a line of high quality, photo-realistic protection products. Aligning with established case manufacturer Case-Mate as well as the global leader in action sports athlete representation, Wasserman Media, ensures Flying Icon products feature the world’s best athletes and are of the highest quality. Categorized by Skate, Surf, BMX, Snow, Moto, and Auto, the brand will be represented by Ryan Sheckler, Chaz Ortiz, Julian Wilson, Bruce Irons, Dennis Enarson, Dave Mirra, Chad Reed, Travis Pastrana, and Ken Block to name just a few. The initial product offering features cases for all the latest popular mobile devices with varying levels of protection. From slim, lightweight cases applying a “less is more” approach, to dual-layer cases that offer a higher level of protection, Flying Icon has something for everyone. Just as our athletes continually challenge what is possible in their sport, we will do the same with our commitment to offer the most innovative cases available. A complete, fully interactive site and webstore launches 7.3.12. Until then, be sure to follow us on Facebook, Twitter and Instagram.